Whole life insurance is a permanent form of life insurance, intended to last for the “whole life” of an insured. Whole life insurance is an insurance contract between a person and an insurance company, which in return for regular premium payments made to the insurance company, the company promises to pay a specified death benefit to the owner of the policy upon the death of the insured. 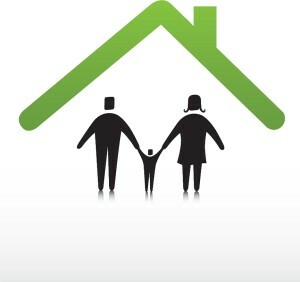 Whole life insurance also accumulates a cash value, which can be accessed by the owner, during the life of the policy. Upon the death of a person, when their remaining assets are passed down to their heirs, the value of these assets can be taxed at as high as 40% of their value in the United States, under estate tax law. The death benefit of a whole life insurance policy can be received tax-free by the beneficiaries, and for this reason, whole life insurance is used for estate planning purposes as well as providing income for beneficiaries after the insured passes away. Instead of leaving cash (which is taxable) to their heirs, a whole life insurance policy can be purchased with that cash, with a higher death benefit than the amount of cash used, and then the death benefit can be received by named beneficiaries tax free! Premium payments in a whole life insurance policy are level (will never rise during the life of a policy), but an owner may have the option of paying an additional premium into the policy in order to build cash value faster. Making additional payments may even enable the owner to stop making premium payments into the policy altogether at some point, and the policy will continue to remain in force. Some policies can even be designed to be “paid up” after a set period of years, ie 5, 10, or 20 years. This will ensure an owner can stop making payments after the paid-up period ends, and the policy will remain in force, and continue to accumulate additional cash value, until the insured dies. Because premium payments are always level, it means that premium payments can be relatively inexpensive late in an insured’s life. This makes whole life insurance attractive for people who want to provide life insurance benefits to their beneficiaries no matter what age they may pass away. While term life insurance will not pay a benefit if the insured outlives the guaranteed period, with a whole life insurance policy an insured can not outlive the payout period of a policy. Whole life insurance policies also have a cash surrender value, meaning the policy itself builds value over time. If the policy is surrendered during the life of the contract the owner will receive the sum of the cash surrender value, even though the insured is not deceased. Loans can also be taken by the owner for any reason from the cash surrender value tax-free, and the value can be used to pay premiums if an owner misses payments. This feature can make whole life insurance an attractive savings and investment tool for many people. Whole life insurance policies are also eligible to receive dividend payments from the company. The size of these payments is determined based on the age of the contract, the size of the death benefit, and cash surrender value of the policy. They are also determined by the insurance companies profits and experience with rates of death of policyholders. Dividends can either be used to buy additional paid-up insurance, so the death benefit rises over the life of the contract, be used to build cash value faster in the policy, or can be taken as cash by the owner. All else being equal, the more cash value a whole life insurance contract contains, the higher the dividend payment received by the owner. A whole life insurance policy will guarantee a minimum cash value each policy year if all premium payments are made. Dividends are not always guaranteed (since they depend in part on company performance) but many major insurance providers have paid dividend payments consecutively for over 100 years, even through the financial crisis of 2008. With dividend payments whole life insurance will provide a positive internal rate of return for contract owners over time, so even without the death benefit, the policy can be viewed as an investment tool. Since the death benefit will be paid upon the insured’s death no matter how old the insured becomes, whole life insurance is considered by most financial planners an attractive solution for providing security to a family, building long-term wealth, and avoiding estate taxation. Whole life insurance will always be there for your family, no matter how old you may become. You know exactly what your premium payments will be, and exactly what your family will receive if you pass away. You will be able to take loans from the policy value, and will usually receive increasing dividend payments over time for owning the policy. For these reasons, whole life insurance provides maximum security for you and your family. To get a free whole life insurance quote from Life Ant, please scroll to the top of the page and enter your zip code to find agents in your area. Alternatively, you can click on the banner below.